Sometimes, it really does seem like strollers are everywhere. In a 2011 report, the Center City District predicted a “coming demographic wave” of school age children in the greater Center City area. In core Center City, the boom is palpable: a 66 percent increase from 2000 to 2010 in children under five years old who will be attending elementary school here, “if these families decide to stay” (italics in the original report). For greater Center City (roughly Tasker to Girard, river to river), the increase is about 32 percent. Since then, in Center City and University City, the trend has continued, and policymakers, civic leaders, and businesses have sought to meet the demand with programs and services, public spaces and schools meant to appeal to families. This week, the focus on the urban family continues with a public discussion organized by Next City: “Making Philadelphia Family Friendly,” which takes place Wednesday, October 29 at 6PM at the Moore College of Art and Design. The Next City event takes place at a conflicted moment, as the booming demographic collides with the reality of the continued education crisis in Philadelphia. If schools are the number one issue for young families, is there any hope of retaining them? Millennials, in fact, have different attitudes about quality of life than previous generations of city residents. According to a study produced this year by the Pew Research Center, Millennials are more creative, innovative, and flexible than Gen Xers or Baby Boomers. They’re less interested in cars and traditional institutions, and much more interested in the social value of city life and the public spaces that support it. They want to stay–a deeply held desire that has motivated many of them to invest time and money in the public schools their children will attend. We can observe this new urban pattern, a quiet, grassroots movement that’s grown over the past few years, in the halls and playgrounds of the public schools in the neighborhoods surrounding Center City—schools like Andrew Jackson elementary in East Passyunk. With infants and toddlers in tow, “stroller moms” and dads have been asking to to volunteer at their neighborhood schools. They’re helping to improve school performance and culture at the same time becoming more comfortable with the idea of enrolling their children in three, four, or five years time. In spite of the funding cuts from Harrisburg, citywide conflict over the School Reform Commission and School District, and the draining of resources and students to charter schools, these neighborhoods–from Fairmount to Walnut Hill, East Passyunk to Fishtown–are succeeding in creating attractive, successful local public schools through direct collaboration of current and future school parents, civic organizations, principals, and teachers. This type of effort has also saved a neighborhood school from closing. In 2011, School District officials announced they would close eight elementary schools, including Edwin M. Stanton School in Graduate Hospital. Stanton parents and neighbors fought to keep the school open and in the process created a community-based movement to invest in the school. Here, longtime residents and newcomers—with and without children—along with local civic associations and businesses started to work together to save and improve the school. Successful school collaborations, which go far beyond the effort of earlier generations of parents to bolster neighborhood schools, are responsible for raising significant private funds for classroom and library materials, technology, supplementary programs, and, critically, capital improvements for the aging buildings. The schools they’re helping to improve are typically a ring further out from the most lauded elementaries–McCall, Meredith, Greenfield, and Penn Alexander. These schools–we survey ten of them–are notably in transitional neighborhoods. At dozens of other neighborhood schools across the city that face more difficult issues of poverty, parents don’t have the time or resources to attempt to fix problems caused by budget cuts and structural economic change. In many ways, Jackson is the exemplar of the school movement. Christina Grimes, an East Passyunk resident whose daughter entered kindergarten this fall, was part of an initial group of ten moms who got together in 2009 to ask, “if we don’t want to move, [we] like our neighborhood, and if school is the only reason to move, why don’t we fix our school?” They approached the then-new principal, Lisa Ciaranca-Kaplan, and asked what they could do to help the school. The principal, a 2013 recipient of the Lindback “Distinguished Principals” award for her work at Jackson, jumped at the opportunity, proposing two capital improvement projects and several volunteer activities, including fundraising to supplement the shrinking School District budget. The core parents group enlisted other parents and community members and formed Friends of Jackson, whose mission is “supporting teachers, staff and students at Jackson School as it becomes the heart of the community,” widening the pool of support for the neighborhood school. 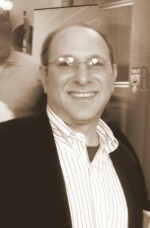 “Every bit of evidence about successful schools, regardless of type, says they need strong principals with sufficient resources, who are accountable to parents, with the flexibility and authority to shape their faculty and curriculum to meet the changing needs of parents and children who are seen as customers to be cultivated,” says Levy. Tom Wyatt, an East Passyunk parent of two preschoolers and active supporter of Jackson through the Education Committee of Passyunk Square Civic Association, explains it simply, “you’re not going to have a vibrant neighborhood if you don’t have a vibrant school.” Wyatt and Grimes are proud of two physical improvement projects that the Friends of Jackson have sponsored, a playground renovation unveiled recently and the school’s multipurpose space, currently in redesign. Alterra Property Group, a local developer who converted the nearby Annunciation School to loft condominiums, donated most of the cost of the playground reconstruction. This is a significant, but not isolated, example of a local business recognizing the importance of having a strong neighborhood public school. Jackson has also established partnerships with local universities, arts groups, and businesses outside the neighborhood, often through connections made by parents and neighbors, creating and maintaining a robust enrichment program, with over two dozen after-school programs, including a music program highlighted by HOME, the school’s rock band. Grimes relates how she and others looked at programming at McCall (Society Hill) and Meredith (Queen Village) elementary schools, whose catchment areas were only blocks away from Jackson’s, and recognized that there was no reason their school couldn’t have the same opportunities for their students. This sentiment is also evident at Jackson’s neighboring schools in South Philly east of Broad, including Kirkbride, Southwark, and Nebinger, where similar efforts are visible. Across Broad Street, Edwin M. Stanton and Chester A. Arthur elementary schools in the Graduate Hospital neighborhood are a couple of years behind Jackson in terms of community engagement, but parents and officials there have been quickly catching up. While Stanton has had an enviable music program for the past 20 years, sponsored by the Christian service agency Bainbridge House, it wasn’t until Stanton was slated by the School Reform Commission for closure that the school became a linchpin for young families who had moved into the neighborhood. The strong showing of Stanton parents, students and community members at SRC hearings, backed by Stanton’s impressive academic record, convinced the SRC to keep the underpopulated school open—in part because of the large number of preschoolers in the neighborhood whose parents were making a commitment to the school. Stanton’s high energy principal Stacey Burnley cites many partnerships with local arts organizations, including nearby University of the Arts and with the Bar Association, as she describes the flourishing art, music, and civics programs at the school. The extensive Bainbridge House music program provides free lessons that would cost parents hundreds or thousands of dollars a year elsewhere. Burnley works with current parents to hold open houses and reach out to parents of preschoolers–she says her biggest hurdle is getting parents to actually come inside the school to learn all that’s happening. One of Stanton’s biggest boosters is Emily Stromberg, the parent of a Stanton second grader and a preschooler, who moved to Graduate Hospital with her husband assuming they would move again when they had children. They loved the neighborhood’s walkability and diversity, and by the time their first child turned three, they decided to stay in the neighborhood, in the home they’d rehabbed. “The school is only one block away from our home, and we love the idea of our children walking to school,” she says. It’s the primary reason Stromberg offers for choosing Stanton over a citywide charter school in some other neighborhood. After attending one of Stanton’s open houses the summer before their first child started kindergarten, Stromberg started volunteering, eventually leading up the effort to redesign and rebuild the school’s playground. She also helped to establish Stanton Community Partners, a nonprofit working with South of South Neighborhood Association and other community residents and organizations. Stromberg explains that the school has a School Advisory Council, not a Home and School Association (PTA), because it includes community members who are not parents. Chester Arthur, Graduate Hospital’s other K-8 school, has likewise benefited from a swell of community support in the past few years. An active Friends of Chester Arthur group holds fundraising block parties in front of the school to provide resources, but just as importantly, to provide the opportunity for neighborhood parents to come inside the school and see firsthand what’s happening. Friends of Chester Arthur was able to recruit the landscape architecture firm OLIN to provide, for free, a redesign of the school’s bare asphalt playground. OLIN has provided free design services for at least two other neighborhood school playgrounds. Arthur is now one of the only schools in the country to have a middle school Civil Engineering program, taught in conjunction with the innovative NextFab makerspace on nearby Washington Avenue, preparing students for Science, Technology, Engineering, and Mathematics (STEM) careers. Like Jackson, Arthur has an extensive after-school list of programs, including many arts partnerships with performance and visual arts organizations in Center City. The new principal, Kimberly Newman, selected in 2013 with the involvement of parents and community members, is working hard to reach out to neighborhood parents to come see the school, holding monthly open houses, inviting individual visits, and even holding meetings in their homes of nearby parents of infants and toddlers. Historically, many Fairmount parents sent their children to the well-regarded Albert M. Greenfield School at 22nd and Chestnut Streets in Center City–outside the neighborhood but accessible through a school district policy that allowed them to enroll. But the recession caused Greenfield’s enrollment to swell as Center City kids moved there from private schools. Fairmount children could no longer enroll there, causing their parents to take a closer look at Bache-Martin, at 22nd and Brown Streets. Nina Liou and Scott Page have two sons now in first and third grade at Bache-Martin, and they struggled with the options as their older son approached kindergarten. In choosing their local public school over a charter, they recognized a need for active involvement in the school community if their sons were going to have a rich, full education. Liou, now in her third year as president of Bache-Martin’s Home and School Association, and “a huge believer in public education for society as a whole” sees it as the parents’ role to “build community and support the school to ensure that all the students have an excellent education.” She applauds the larger community involvement, including retirees at The Philadelphian, a large condominium building nearby, who regularly volunteer in the classrooms and the garden, and community participation in programs the school runs after hours and on weekends. About a decade ago, the New Kensington Community Development Corporation assisted the School District in land acquisition as Kensington High School was reconfigured into three new schools (Kensington Creative and Performing Arts, Business, and Culinary Arts high schools). Now, NKCDC’s long time executive director, Sandy Salzman, says her organization is working with neighbors and parents to improve Horatio B. Hackett and Alexander Adaire elementary schools, coordinating volunteer work in the schools and rebuilding school playgrounds. At Adaire, a neighborhood resident, Denis Devine, working with the 19125 Parents Coalition and Friends of Adaire and has lead a visioning process for the school yard. At Hackett, the Community Design Collaborative has helped the Friends of Hackett, another organization jumpstarted by the 19125 Parents Coalition, to facilitate a grant for the greening of the schoolyard. An interesting thread connecting many of these schools is the Community Design Collaborative, which has provided pro bono design services for capital improvement projects at the schools, including school yard redesigns, plans for underused multi-purpose spaces, and facility master plans. Heidi Levy, who coordinates the pro bono design program at the Collaborative, explains that each project needs a nonprofit sponsor to be considered by the Collaborative, and that community involvement has been a growing factor at these schools, as evidenced by the grant requests to the Collaborative. Levy notes, “we’ve had requests for Collaborative volunteer design teams to work on projects at most of the elementary schools in the neighborhoods surrounding Center City.” It’s then a matter of the Friends group and school forming partnerships with local businesses, institutions, and parents groups to raise the funds to implement the projects. In West Philadelphia, the incentive to improve “the next school over” grew out of the success of the Penn Alexander school—and the dramatic contrast between it and the school serving the abutting catchment area, Lea Elementary. While Penn has had an ongoing presence at Lea, through the Netter Center for Community Involvement, it is a very different model of engagement from Penn Alexander, which the university helped found. With home prices dramatically rising in the Penn Alexander catchment area, young middle class families are moving farther west from Center City and campus. As a result, Lea has begun to see volunteer involvement from local residents in addition to the support they receive through the Netter Center, setting Lea on the same path to improvement that Jackson, Stanton, and Arthur have pursued. One inevitable criticism of these local public school improvements is that of gentrification—that the focused attention only benefits newly arrived, wealthier residents. The reality is quite a bit more complicated. Newly arrived residents are primarily the ones who can’t afford to live in the catchment areas of the four best regarded schools, Meredith, McCall, Greenfield, and Penn Alexander. They’re also people who moved where they did because they value economic and ethnic diversity, represent a diverse population, and are seeking walkable, vibrant neighborhoods (Millennials are more diverse than any other American generation). All ten schools we’ve examined have very high percentage of “economically disadvantaged” students, according to the school profiles on the School District’s website. More than 90 percent of students at eight of the ten schools are low income, versus 46-52 percent in the top four schools. The ten schools perform well, in part due to investment by parents and the community. Attendance is 94-96 percent and PSSA scores are generally above citywide average scores, indicating that improvements can benefit a broad range of students. The ten schools still have a way to go to reach the education level of the top four schools, especially in terms of PSSA scores, but they are now providing very good public school options for parents committed to staying in the city. The parents I talked to all spoke of their commitment to urban, walkable, vibrant neighborhoods, and the “quality of life”—a phrase cited again and again—that they chose for themselves and wanted for their children. These parents, along with their neighbors and local business owners, realize what Tom Wyatt did: that a vibrant neighborhood can only be sustained if it has a vibrant public elementary school and that just as the school is responsible to the community, the community is also responsible to the school; they both have to work together for the school to be successful and to provide an enriching education. In all the noise about the funding crisis at the District level, which is very real, there is strong concern that Philadelphia’s recent population increase will be lost as 18-34 year olds, whose numbers have increased by more than 118,000 in the past ten years, have children and feel they have no viable option in their local public schools. The story of these schools, however, is being rewritten by these young parents, who chose these neighborhoods for the quality of life they offer, and like so many of their generation, they are stepping up to effect change as part of a connected society. Bradley Maule and Nathaniel Popkin contributed reporting to this article. Next City’s “Making Philadelphia Family Friendly,” Wednesday, October 29, 2014. Information HERE. David W Feldman is the founder and president of Right-Sized-Homes and an advocate for better schools and smarter, sustainable neighborhoods. He is a Philadelphia native who has lived in the Graduate, Mt. Airy and Fitler Square neighborhoods, and is a buyer's representative realtor assisting home buyers find "right-sized" homes in walkable, transit-oriented communities. Very good story, and thanks for noting the work of the Friends of Adaire in the section about Kensington and Fishtown education organizing. I’m glad you’ve written this story and was pleasantly surprised. Thank you. As a new Philadelphian (moved here in August) with a 17 month old, I think one of the simpler ways Philly can be more friendly to families is by allowing unfolded strollers on buses and trolleys. In Boston, we could simply fold up the seats to bring them on – which I know the buses here can do because I’ve seen it done for wheelchairs. There’s a special kind of hell I have to experience commuting with my 30 lb toddler (who can’t walk that far yet) sans stroller, and it makes solo trips quite challenging. I’m not sure how this policy was established, but it should be eliminated. Terrific piece. What a great invitation for those of us who have raised our kids in the suburbs but actively consider retiring in town–definitely not Millenials, but imagining a walkable quality of life with….hopefully in the not too distant future…..grandchildren frequently in tow. Excellent article and spot-on diagnosis of the biggest problem looming for the Philadelphia renaissance. Once the millenials have school-age kids they will move unless they have better education options. I am surprised that the article focused so exclusively on public schools. Philadelphia has a wealth of very good independent schools that could be made more accessable via tax credits, vouchers, scholarship funds, etc. Other cities are experimenting with different school choice models to attract these schools – we already have them! This city would absolutely take off with intelligent school choice options. Thanks for your comment, Randall. While independent schools are one option to address the issue of quality education in general, their students are drawn city-wide and regional-wide. As such, are not neighborhood anchors, especially for parents who have chosen a walkable lifestyle, and don’t want to spend hours ferrying kids by car to play dates, after school activities, or back and forth to school each day. They only address one half of the challenge of school age families in the city, particularly those who want early grade students to go to school in the neighborhood where they live, just as most elementary schools throughout the Commonwealth do.